Facebook’s new feature of messenger called a “Secret conversation” provide the end to end encryption, which means the messages are intended just for you and the other person—not anyone else, including the facebook. However, unlike WhatsApp, the end-to-end encryption setting will not be default and users can choose to turn it on. Starting a secret conversation with someone is optional because many people want Messenger to work when they switch between devices, such as a tablet, desktop computer or phone. Be Alert! WhatsApp Is Going To Share Your Data With Facebook. Here’s How To Stop It! A user will have to tap on a friend’s name, and just above the Audio call and Video call options, you can see the ‘Secret Conversation’ option (if the update has rolled out to you). Once you tap on Secret Conversation, you can start an end-to-end encrypted chatting session. Note you might not be able to start a Secret Conversation with everyone, even if you have the update because the other person might still not have the feature. And if you want, you can also set a timer to make the messages disappear after certain time. 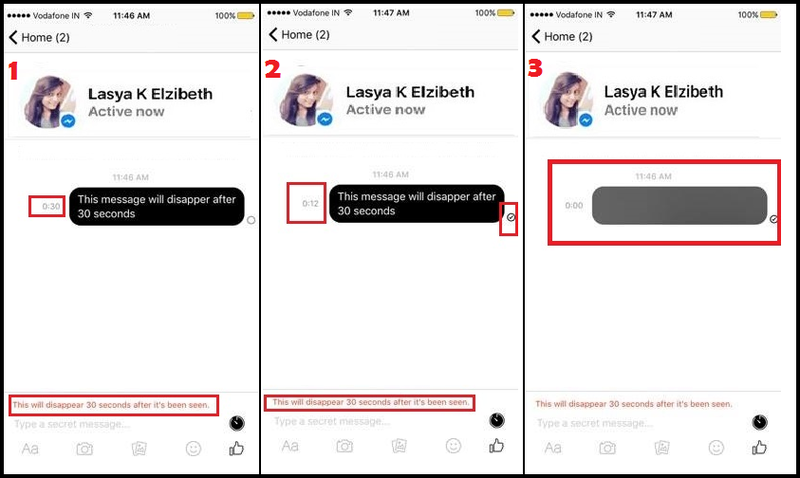 If it is any confidential or personal chat and you want them to be disappeared after some time, this feature will help you out. 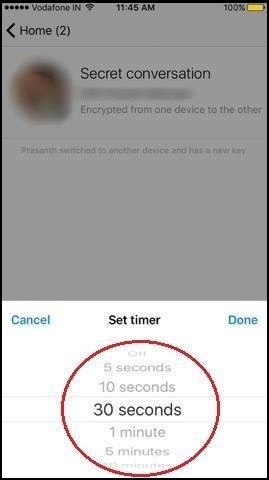 You can set a timer – starting from 5 seconds to 1 day, and make your messages disappear after the specified time. You can on/off your timer – if you want. As you can see in the above screenshots, we had sent a message so as to be disappeared in 30 seconds after it’s been seen. In the second screenshot, you can see as the timer starts to run after the message has been seen. And in the 3rd screenshot, you can finally see the message disappeared after 30 seconds. 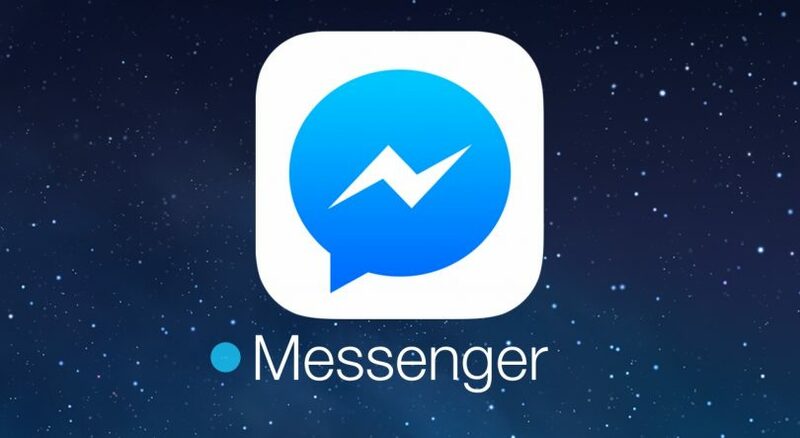 Secret conversations are currently only available in the Messenger app on iOS and Android, so they won’t appear on Facebook chat or messenger.com. 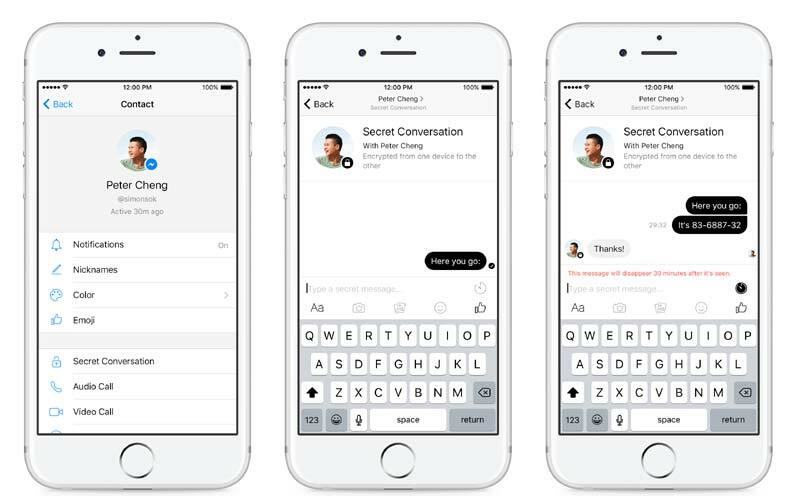 Facebook Messenger’s Secret conversations can be read on only one device. So if you start a secret chat on Facebook Messenger on your smartphone, then don’t expect to see them on your desktop as well. Note that secret conversations are visible on your device where you create the conversation and on the device of the person you’re communicating with. This one-to-one secret conversation in Messenger doesn’t support “rich content like GIFs and videos, making payments, or other popular Messenger features. Keep in mind that the person you’re messaging could choose to share the conversation with others (ex: a screenshot). Both you and the other person in the secret conversation have a device key that you can use to verify that the messages are end-to-end encrypted. Thanks lasya . this article hepfull for me .